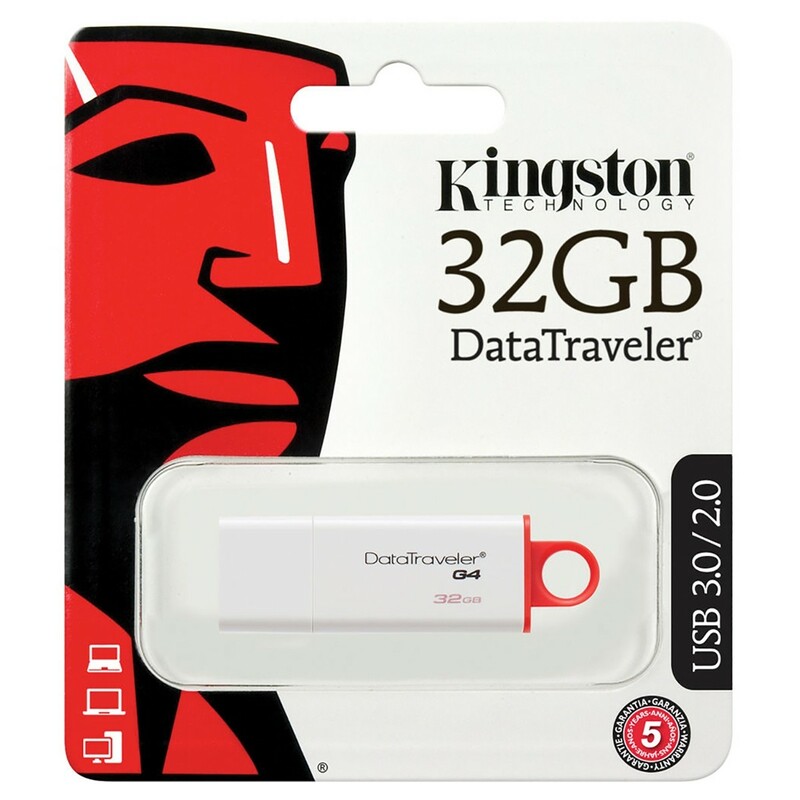 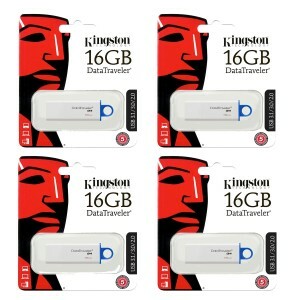 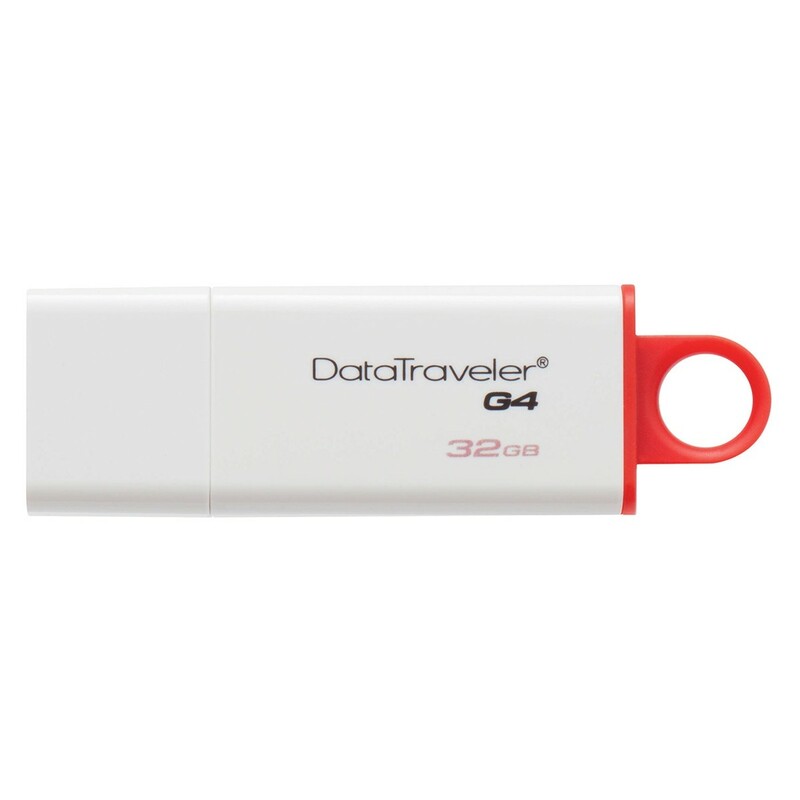 The Red 32GB USB 3.0 DataTraveler G4 Flash Drive from Kingston is a compact, portable flash memory storage device for your data. 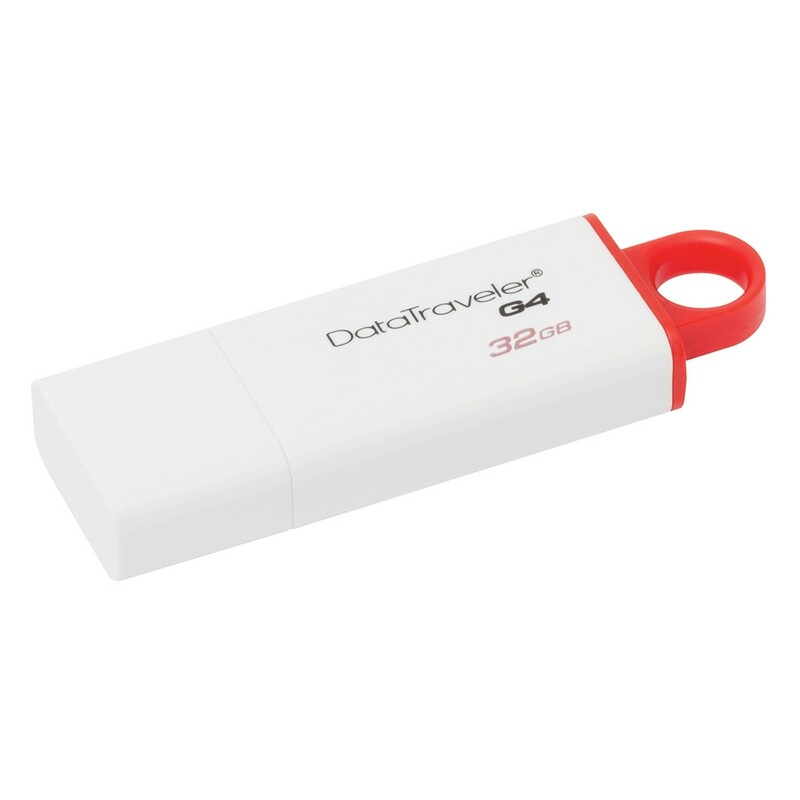 It has 32GB of data storage capacity for saving photos, documents, or other data. 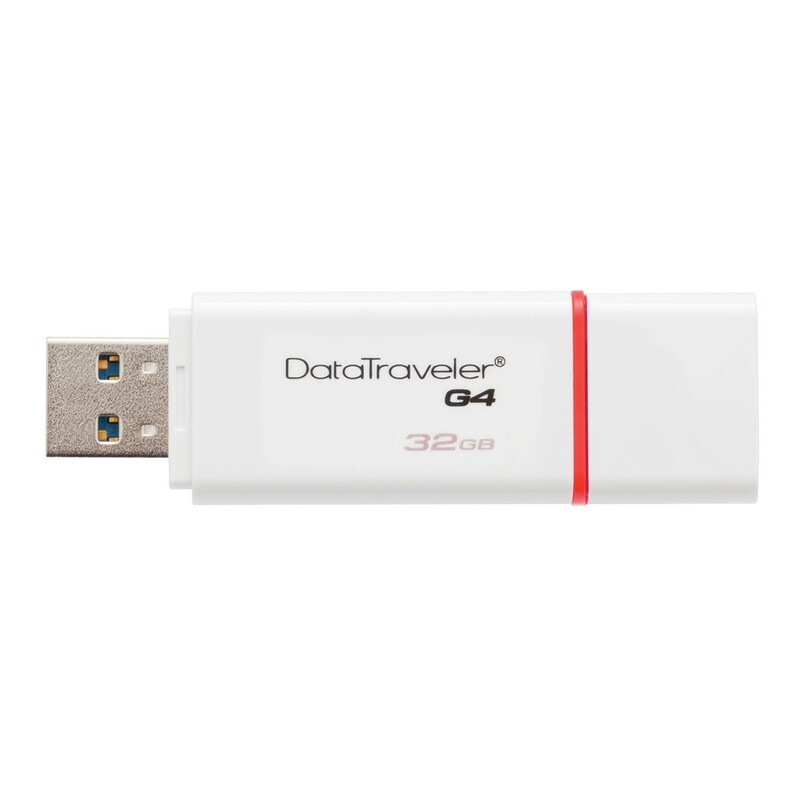 The DataTraveler has a read speed of 40 MB/s and write speed of 10 MB/s. 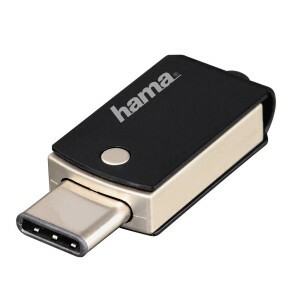 Its USB 3.0 port is backward compatible with all USB devices. 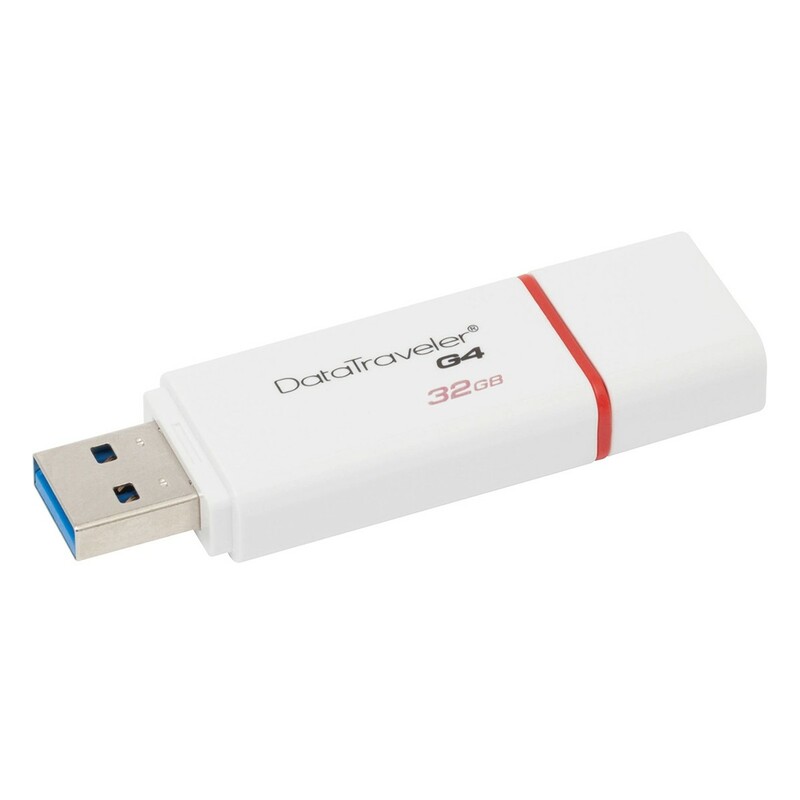 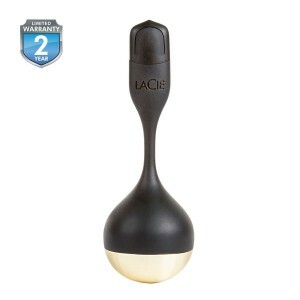 It is easy to use, requires no extra software, and is compatible with both Windows and Mac OS X operating systems. 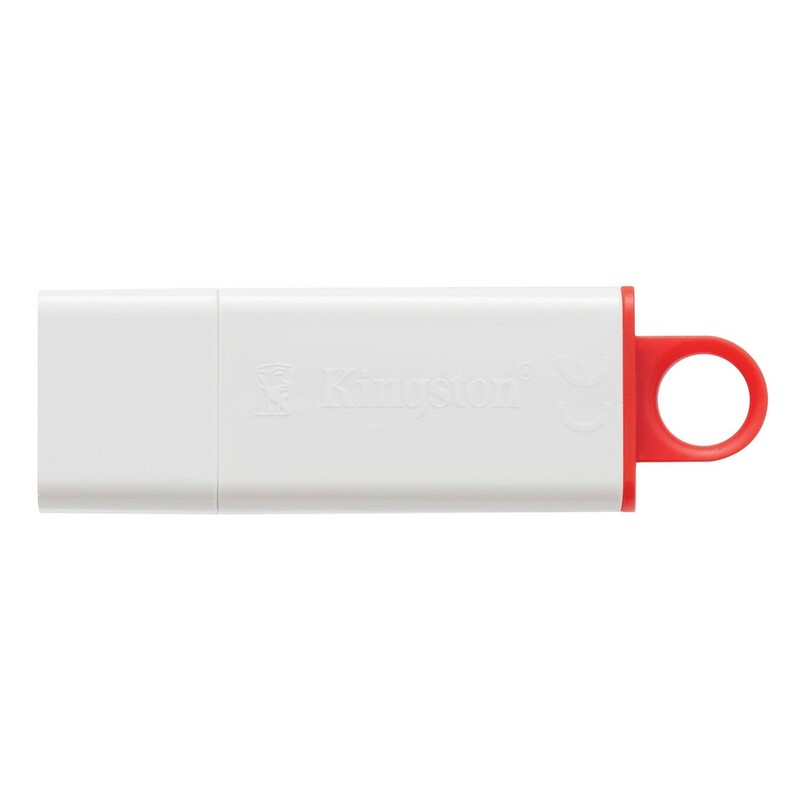 A cap protects the USB plug and your data. 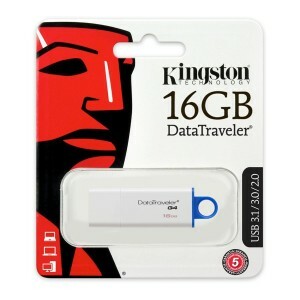 The drive is backed by a limited five-year warranty and free technical support. 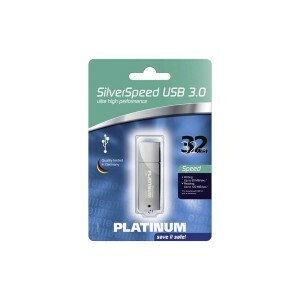 USB 2.0 and USB 3.0 Compatibility: Windows XP and higher, Mac OS X 10.6 and higher, and Linux 2.6 and higher.